We are starting to see some bifurcation in the high dividend stocks depending on the sector. High yield stocks are coming back in vogue after getting crushed from the higher rates sentiment. We go through 3 we like today, and 3 we would be selling/trimming today. When analyzing high dividend stocks, which we currently like a bit better than dividend growth names, simply because of the theory that a bird in the hand is worth two in the bush. In other words, while dividend growth over the last decade has been tremendous, we are unsure how strong it will be over the subsequent ten years. Thus, higher current yields make a little more sense to us at the moment. For this, we analyze the space from the perspective of a credit analyst and look at most of these names as high yield bonds. The sustainability of the dividend is paramount which takes into account analysis of the cash flow situation. We are cash flow investors meaning our marketplace service looks to generate strong and consistent yield for income purposes- primarily for retirees and accumulators (those still working and saving) looking outside of core fixed income. Cash flow investing means we can generate higher current income today and reinvest the 'surplus' for retirees or all of it for accumulators and create our own dividend growth through larger principal. Here are three of the names we are looking at today that we think are attractive to own and three names which we think are in the sell department. 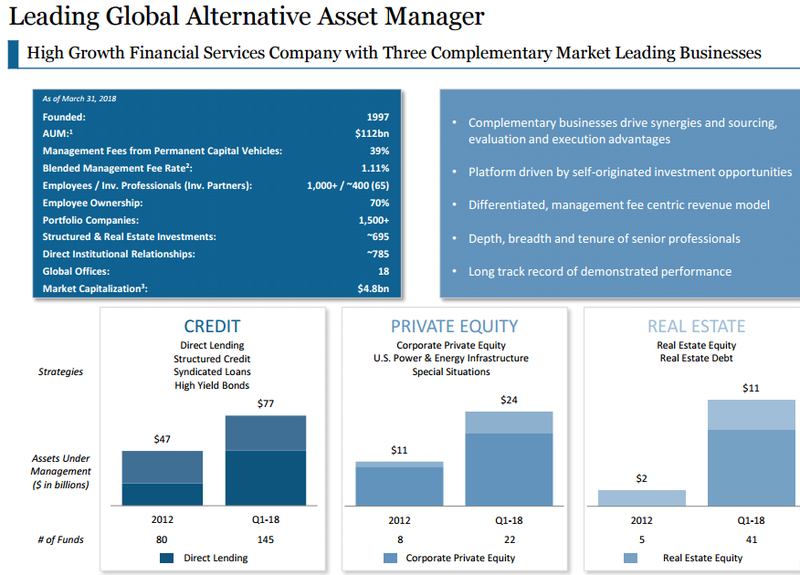 Ares was the first in the alternative investment management sector to convert to a C-corp structure. This should help diversify their shareholder base and increase liquidity. More importantly, no more K-1s for investors. Many investors know the various publicly traded vehicles that fall under the Ares umbrella. They have the BDC which is their private lending business and ACRE, their commercial real estate business. Then there is their closed-end fund, (NYSE:ARDC), which invests in floating rate and other high yield investments. Lastly, there is their recent ACAS acquisition, (NASDAQ:ARCC) another BDC vehicle that invests in first lien debt. Ares is well positioned for higher rates which should act as a long-term net positive for the company. The higher rates should produce better earnings for them while hurdle rates will remain unchanged. Their large base of credit funds should start realizing higher incentive fees as they realize better earnings from the higher rates. The shares offer up exposure to a growing alternative asset manager with various exposures to direct lending, private equity, private credit, and real estate. The stability of the revenue and earnings power of the firm, conservative approach, and growing distribution all combine to provide a faster-than-peers growth trajectory. 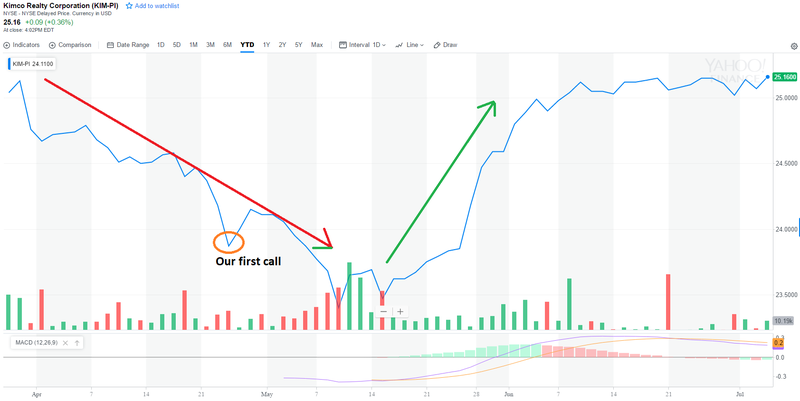 The company did a secondary offering in early March and since then the shares have been in purgatory around $21-$22 per share. This was roughly a year after another secondary was conducted though the one in 2017 was not dilutive to existing shareholders. We think the shares are poised to break out from these doldrums and head to our price target near $27 per share. This is an interesting small cap speculative infrastructure REIT play that investors should consider investing from the preferred stock angle while waiting for a large margin of safety on the common. 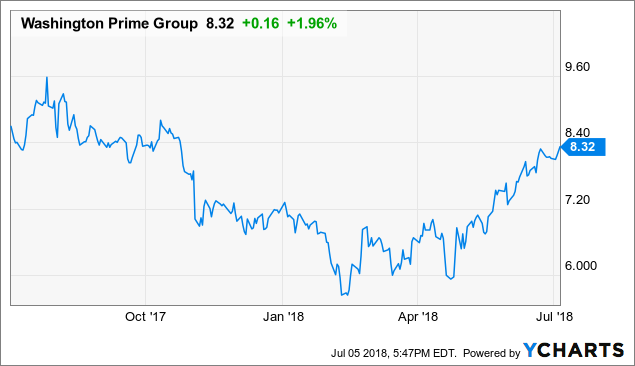 A recent short-focused article on the common shares has created a near-term opportunity across their capital structure. We added to the new preferred units to our Strategic Income Portfolio and think we have a relatively safe 7% yield with upside from higher rates. In general, we would wait on LMRK common units for a better price, preferably below $15 per share and opportunistically below $14. Landmark bills themselves as a "growth-oriented" real estate and infrastructure company formed to acquire and manage a portfolio of real property assets. These are interests in wireless communication, outdoor advertising, and land underneath solar panels and wind turbines. The assets are the core backbone of their tenants' operations and businesses. 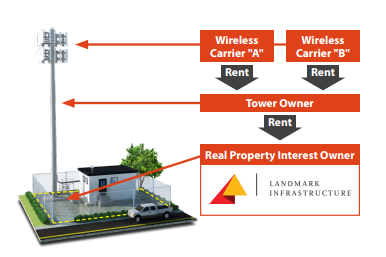 Wireless Communication: These are tower assets that are owned by the major tower companies or directly by the wireless carriers. Combined, these two pieces account for 61% of company revenue. There are more than 153,000 locations worldwide. LMRK owns and operates 1,592 sites, 96% of which are currently leased. 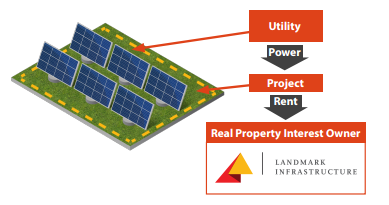 LMRK's portfolio contains less than 1% of those locations giving them significant capacity for expansion. Outdoor Advertising (billboards): With more than 165K locations, this is a large industry with growing revenue. 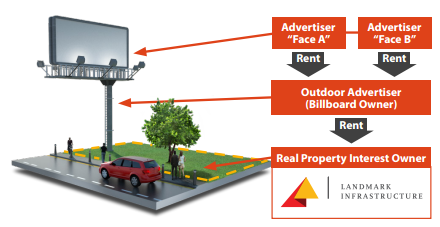 It is estimated that by year 2026, outdoor advertising revenue will reach $11.3 billion. LMRK owns 565 sites, 98% of which are currently leased and amounting to 25% of quarterly revenue. Renewable Power Generation: This is their smallest segment but one that is growing rapidly. At 14% of revenue (and 3% of leased sites), the segment is not substantially material but they have just 70 locations today. There are 48K locations worldwide giving them a long and large runway. The business model is such that their organic growth will be relatively low and driven by rent escalators (approx. 2.5% per year), and lease modifications, which require no capex. The modifications are primarily done in the wireless segment due to technology upgrades and the colocation of additional tenants to the same property. In the outdoor advertising space, the conversion to digital billboards is also a mechanism for a lease modification. Outside of those two items, they can realize higher income from renewals (and thus higher rental rates) and revenue sharing agreements. We previously recommended owning the preferreds as they were trading well under par ($25) despite little chance of default nor the yields being too low for the market. For example, the preferreds we recommended our members purchase were the i-shares, as they were trading in the high $23 area. Part of this complement of preferreds were called back in September of 2017 and management on the first quarter call's Q&A portion explicitly stated that they were planning on redeeming them. Since that call, the preferreds have risen sharply in price and now trade back above par. The common has also rebounded as the retail apocalypse calls appears to be subsiding. But the price is still well below the ~$20 area where the shares traded back in the early part of the fourth quarter. The shares are a yield-play, which along with the sentiment regarding retail has been their Achilles heel. 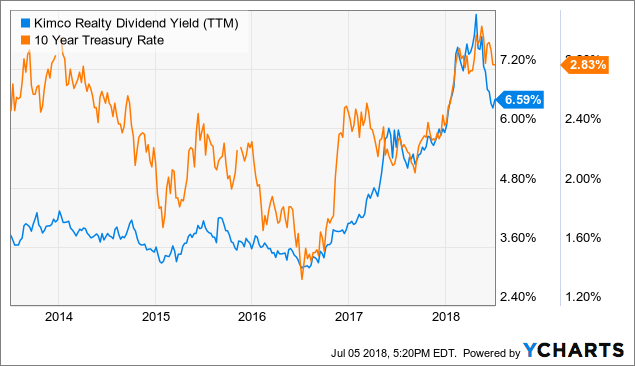 The correlation between the yield of the ten-year and the dividend yield of KIMCO has been high the last couple of years. Given KIMCO's balance sheet, we assess a spread over Treasuries that we think is warranted. The effective yield of the BofAML US Corporate BBB Index is 4.40%, a spread over the 10-year of ~157 bps. KIM shares yield 6.26%, for an effective spread of ~343 bps. Of course, that is for the common which is far lower on the corporate structure ladder. However, the company is well on its way to an A-credit rating. That would shave another 38 bps off the benchmark yield. Right now, investment grade bonds are bulged in the BBB-rated space. There are now more BBB-rated bonds than all other investment grade rated bonds combined. An upgrade to A- would separate KIM from the pack and would lift a massive overhang on the shares. We think the spread of these shares, at 6.65% forward yield is substantially too wide and we have a medium-term target of 6%, at this interest rate regime. Meaning, should interest rates stop rising from here the shares should trade at a 6% yield at a BBB-rated level. At an A- credit rating, we think the shares should trade even lower, between a 5.25% and 5.50% yield. FRTs dividend yield is just 3.45%, about half of that of KIMs. That disparity should not exist given what we think are very similar balance sheet quality companies. While FRTs FFO growth is higher at ~6% (compared to KIMs ~3%), the valuation is also much higher at a P/FFO of 18.8x vs. 10x for KIM. If our thesis plays out and the balance sheet is upgraded, we see a price between $20.36 to $21.33 in the next year for potential upside of 26%. We wrote favorably to members on NSA as our pick in the storage REIT space back in the third quarter when the price was around $23.40. When it hit the public side of the Seeking Alpha site, the shares were around $26 per share in mid-December. Today, the shares are ~$32 and have risen nearly 42% over the last year including dividends. NSA is an internally-managed and fully integrated self-storage REIT. The business model is a bit different forgoing a national brand and instead using "PROs" (participating regional operators) which it believes is a competitive advantage. That advantage comes from specialized regional expertise of the acquired properties to utilize its knowledge of the local community. It is the sixth largest operator in the U.S. of self-storage properties, owning over 500 locations with over 250K units. It has approximately 32m rentable square feet in those properties well-diversified across 29 states. Our call to sell now is predicated on the yield being too low for the amount of leverage and other safer-yielding investments. 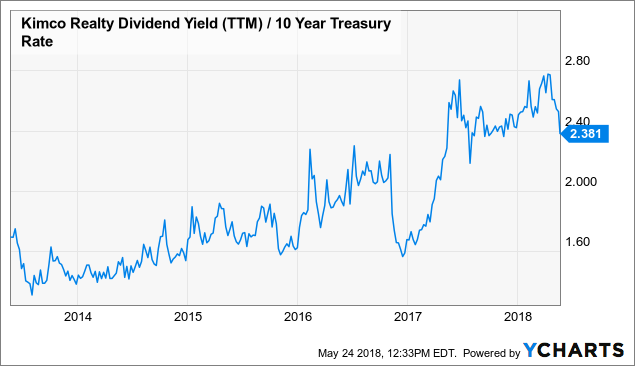 At a 3.76% yield, just 80 bps above the 10-year treasury rate, and 5.9x leverage, we just do not feel we are being adequately compensated for the risks. Overall, growth rates at self storage REITs are likely to come down as the housing market slows. Additionally, we think increased competition risk could pressure pricing which in tern could slow dividend growth going forward. We've already seen a slowdown over the last two years. Should pricing competition heat up from overbuilding, that slowdown could increase meaning we see very low single-digit growth (1%-2%) under our bearish scenario. The self-storage industry is very cyclical and given our take that we are in the latter innings of the cycle coupled with the total return we've generated over the last year, we think it is wise to take our chips off the table. We have held WPG probably longer than most of the other analysts on the site and think it does have more room to run. However, we would not be buying shares here and would likely be net sellers as we progress through the $8 price. Shares were trading below $6 only a few months ago. We have long thought that the 'death of the mall' story has been over done, even on the lesser quality class B properties. The company has been eliminating its exposure to tier 2 malls through outright asset sales or full redevelopment. However, they still have a significant amount of exposure to them and my worry is that it will take too long to convert before the next recession or disruption to brick and mortar hits. 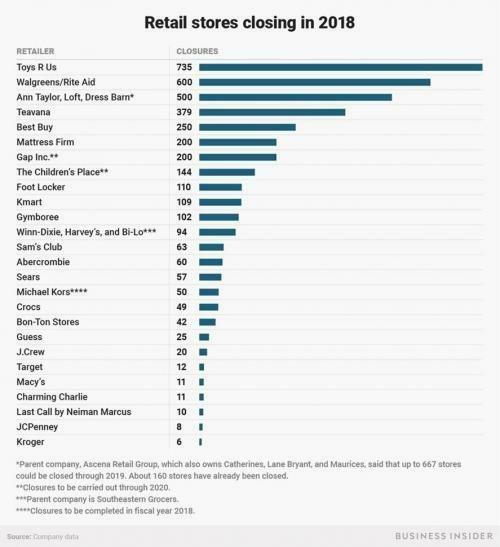 Store closing in 2018 are now at highs except for during the financial crisis driven by the Walgreens/Rite Aid merger (DoJ forced divestiture) and the Toys R Us bankruptcy. We think there are more shoes to drop in the near-term that could spread contagion to the mall thesis again. Those include JC Penney, Dillard's and others like L Brands and Gap. While it likely will not effect the financials too much, the sentiment is likely to shift causing panic selling again. AFFO continues to fall but the pricing of the shares is currently suggesting that this could change in the next two years. It is certainly a possibility but we think the risk is now shifting from the upside to the downside. 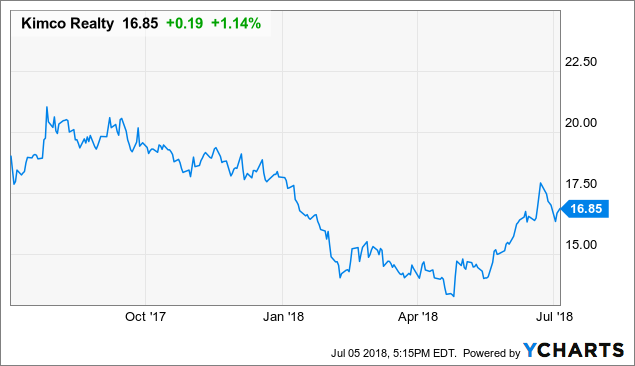 If AFFO continues to slide as it has for the last few years, the dividend will eventually be in jeopardy- at which point, we'll have another CBL & Associates (CBL). We first highlighted this low volatility and "safe" ground lease company on the public side on January 9th. At the time, shares were in the high $17 area and the yield 3.35%. 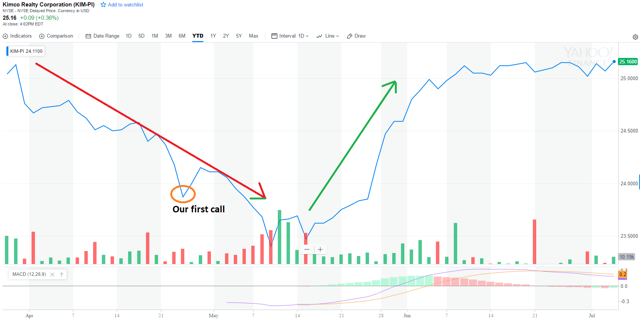 The shares then fell back during the market correction earlier this year to sub-$16 levels at which point we notified members that we were doubling down on our position. The company is focused on the safest portion of the real estate investment representing the raw land underlying commercial real estate property. The contracts are long-term in nature averaging over 40 years. The tenant takes possession of the land and beneficial ownership of the improvements on a triple net lease basis. 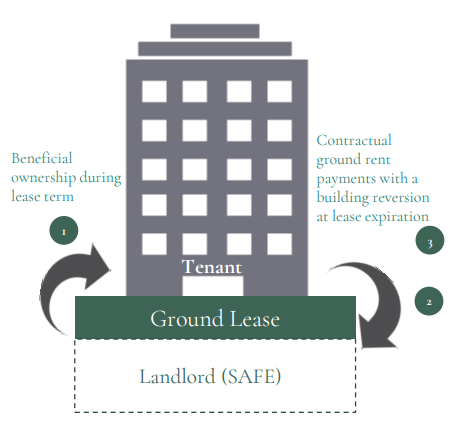 Landlord (Safe) collects ground rent payments, including rent escalators over the term. At lease expiration, or if the tenant defaults, the land and all improvements become property of the landlord (Safe) at no additional cost. The typical lease term is 99 years with renewal options so point number 3 rarely occurs unless in the case of default. Most contracts have tiered price bumps and/or inflation increases tied to an index. The landlord of the GL also has no property expenses nor any capital expenditure expectations of any kind. The tenant maintains the property similar to most other triple net lease situations. 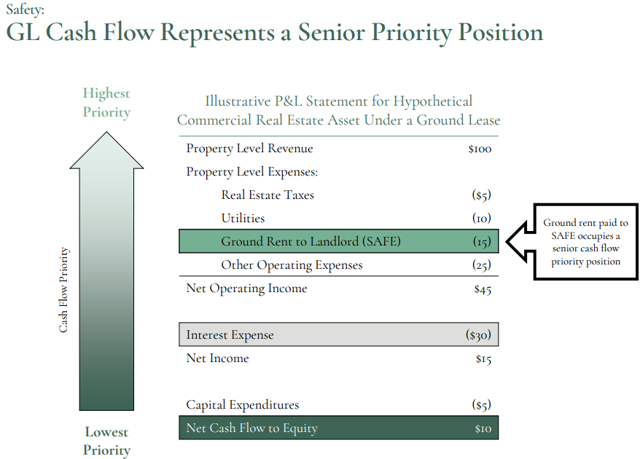 The place on the capital structure increases the safety of the business model when compared to a simple ownership structure of real estate (tenant owns property and the improvements). The company is relatively low-levered at 2x debt-to-equity and the yield is closing in on 3%. At that level, given our growth estimates, it is starting to compete with a 30-year treasury, which yields ~3% as well. Currently the company is in a growth mode so we do not expect too much in the way of dividend growth in the next few years. As the firm ramps their leverage and invests all of their IPO proceeds through deal flow, AFFO will increase significantly. We think AFFO will easily exceed $0.60 next year and could be as high as $0.90 on a run-rate basis by the end of 2018. As we noted, AFFO could then stabilize a bit in 2019 and 2020 on a per share basis as they issue new equity fund further acquisitions. The firm will likely pay out over 93% of their AFFO in order to maintain their REIT status. If AFFO reaches $0.80 under our aggressive estimate by 2019, we think the dividend rate will be $0.72 per share. That is a 20% increase in the dividend. 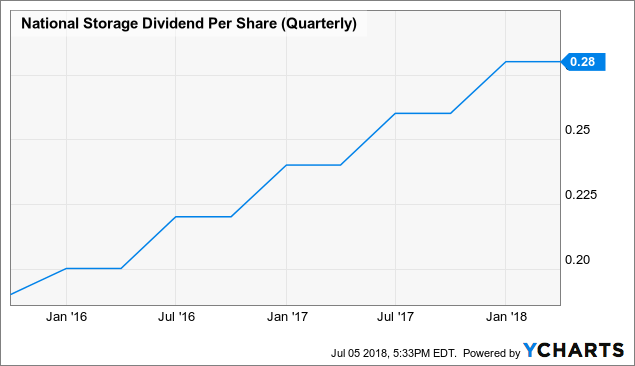 Using a dividend discount model, and assuming an 8% discount rate, $0.60 per share starting dividend and just 5% growth, the value of the shares are $20. If we use a more realistic discount rate of 6%, or about a 310 bps premium to the 30-year treasury rate which accounts for the very low beta of the shares (that we estimate it will eventually have) and the leverage, the share price intrinsic value is $24. The variance is likely a factor of the lack of deal flow that has materialized in the third and fourth quarter, helping push the share price below the IPO price. The shares still represent a very low risk to generate a mid-single digit return each year. The main competition for funds allocated here are idle cash. Given the increase in short-term rates, and the return on shares of SAFE in the last few months, we think the short-term ETFs are now a better play for that idle cash on a risk-return basis. At $20 per share, the market is fully embedding a 6% annual payout growth rate which we think is possible but at the higher end of our estimates. Alpha Gen Capital started Yield Hunting in April 2016 with one purpose in mind: to find yield in a yield-less world. 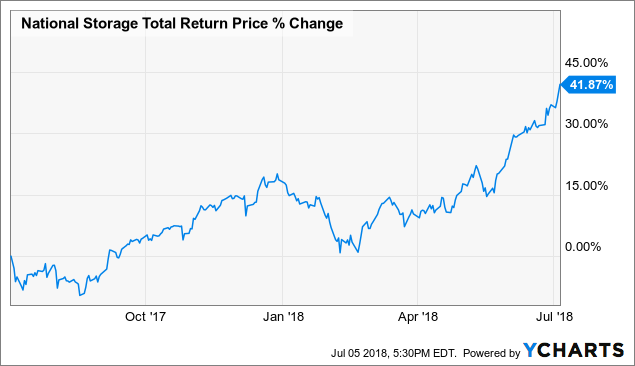 While some subscription services will find yield at any cost, we pride ourselves on the fact that our core portfolio can generate a roughly 8% yield while exposing investors to one third the risk of the S&P 500. We utilize fixed income CEFs, dividend paying stocks, munis, BDCs, baby bonds, among other investment vehicles to generate income while mitigating the risk on the downside from adverse and identifiable risks. Join Today and Enjoy a Free Trial and 15% Off! We are currently running a free two-week trial period along with a 15% discount on the annual rate. For those readers who want to learn more about closed-end funds and how to incorporate them into a whole retirement income portfolio, check us out today. Disclosure: I am/we are long KIM, ARES, LMRK, NSA, SAFE (BUT SELLING THE LAST TWO). I wrote this article myself, and it expresses my own opinions. I am not receiving compensation for it (other than from Seeking Alpha). I have no business relationship with any company whose stock is mentioned in this article.